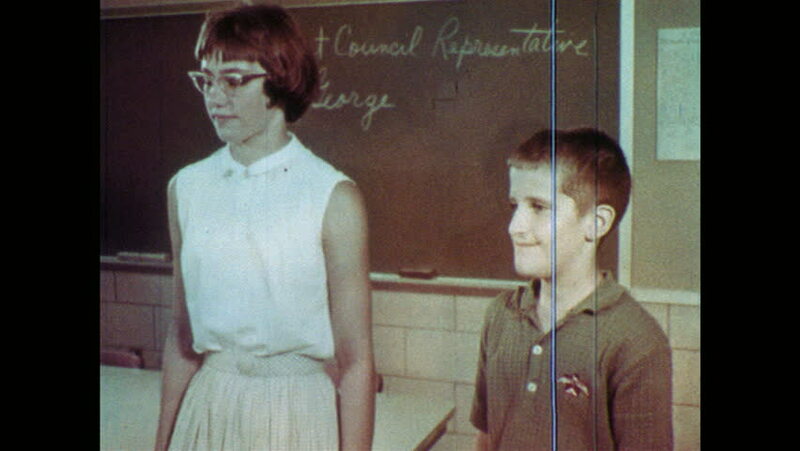 1960s: Girl and boy stand at front of classroom, greet each other, shake hands. Students sit at desk, copy instructions from chalkboard onto notepads. hd00:291950s: Man sitting down talks to boy standing next to him. He hands boy box, boy opens box and takes out model train. Factory of engineers at work. hd00:231970s: Man stands in front of office on used car lot. Men speak and gesture. Man puts down hood of car. hd00:13UNITED STATES: 1940s: School boy shows poster work to lady. 'Please' poster. hd00:19UNITED STATES 1970s – Group of teenage students talk with older man on sidewalk outside of construction site. hd00:14United States 1950s. Woman with daughter speaks outside of a store. Schoolhouse. A man and woman observe a classroom with seated students. 4k00:12JERUSALEM, ISRAEL - April 10, 2015: Jews praying at King Davids tomb. King David was the most famous Jewish King of all time.